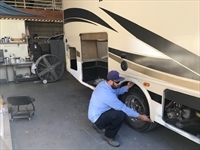 Whether you’re heading out on a road trip, camping with comfort, or renting an RV for a special event, El Monte RV makes your RV hire a painless, hassle-free experience. And with our 24/7 roadside assistance you're never alone on the road. You’ll be on the road in one of our top-of-the-line recreational vehicles before you know it at a price that won’t blow your budget. 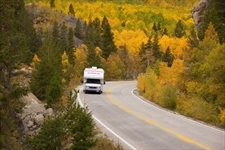 In fact, RV travel costs a fraction of other forms of travel— it can save you up to 57% on travel costs! Rent an RV to explore the country from a whole new perspective. Take your family on a memorable (and economical) vacation in a motorhome that will contain all the comforts of home! WHAT TYPES OF RVS ARE AVAILABLE TO RENT? 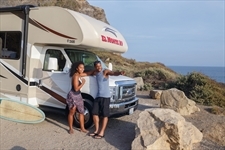 El Monte RV offers a wide selection of camper rentals, including Class A rentals , and Class C rentals, and Temporary Housing rentals. 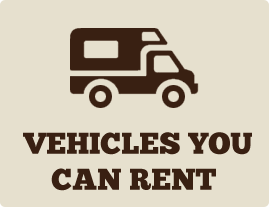 At El Monte RV, you’re sure to find the camper rental that’s right for you. Not sure which type of RV will best suit your needs? Browse through the descriptions to learn more about the features available for each model. There’s no such thing as a one-size-fits-all RV; our fleet of vehicles is sure to contain the vehicle that fits you and your family. Our Class A motorhomes are between 32-35 feet and sleep up to 6 adults; the Class C motorhomes range from 22 to 30 feet and sleep as many as eight adults. If you’re looking at our temporary housing options, they sleep up to six adults and are between 30 to 41 feet long. After more than four decades of experience, we understand the motorhome rental industry inside and out! We rent the newest models. 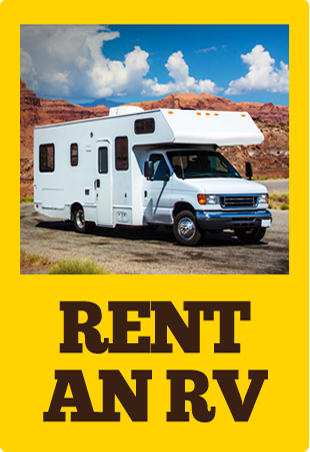 You’ll get a state-of-the-art rental motorhome. We have locations across the USA — and most of them are even open on Sundays. You’ll get the service you need when you need it. Our multi-lingual staff is composed of professionals who are dedicated to customer service. Making a motor home rental reservation is simple— you can do it all online, or you can speak to the helpful, knowledgeable reservations staff in our call center. 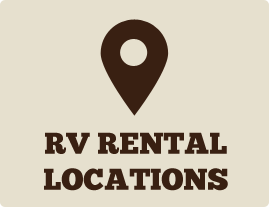 We offer one-way rentals and temporary housing recreational vehicle rentals in addition to vacation rentals. We provide a comprehensive motorhome rental instruction and detailed walk-thru and check-in. There will be no surprises with a recreational vehicle rental from El Monte RV! Free generator use is standard on every motorhome. In the event of an emergency, we offer toll-free roadside support for your on-the-road issues. When you need help most, we’re there to offer it. We offer a full range of RVs, including Class C, Class A, Class A Luxury, and trailers (in some locations). We also offer slide-out units. You’ll find the RV that will best suit your purposes! 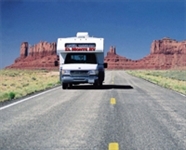 Some El Monte RV locations provide airport transfers. Convenience kits, both personal and kitchen, are available at most locations. For a nominal fee, we provide everything from blankets and sheets to can openers and corkscrews. GPS navigation systems are available at selected locations. You’ll get where you need to go without the hassle of traditional maps. Each camper rental is chock-full of amenities, including drivers’ and cabin air conditioning, full kitchen, bathroom facilities, dining area, a generator, and more! Whether you live near one of our many locations or you plan to visit us after you fly to the area, you’ll be delighted by the selection and convenience that comes with working with El Monte RV. Our dedicated team of RV experts is happy to discuss which motorhome will be most suitable for you and your needs. Embark on your adventure with El Monte RV today!